Lunch should be about having lunch and enjoying it. It can be super dull when you consume the same sandwich everyday with one hand on the keyboard mulling over why that darned Excel formula WILL NOT WORK (calm thoughts, calm thoughts…). They can also be pretty unhealthy and expensive – that M&S wrap, packet of crisps and fruit pot will set you back £30 a week friends = £1,440 a year… without counting the lattes. 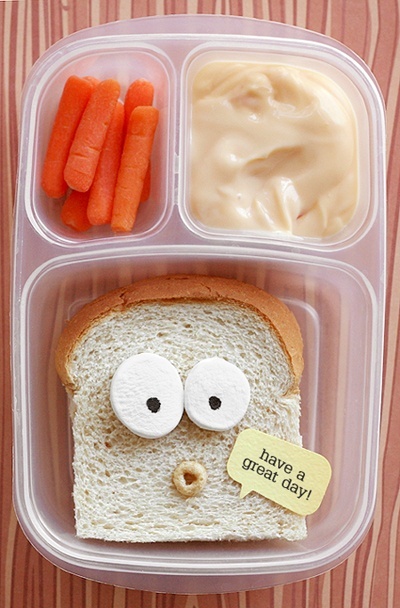 In order to make the lunch break a highlight rather than just routine, I am posting some simple and portable lunch ideas to make all your tuna-mayo-sandwich-colleagues jealous! One of the easiest (and my favourite) ways to pack a quick, nutritious and cheap lunch is using your leftovers. I purposely make surplus food at dinner during weeknights so that I have a homemade lunch to tote into work. For example, if I had roast chicken and vegetables one evening I would add some rocket and dressing the next day for a beautiful salad. Made chilli con carne? Either eat it the next day with leftover rice or chuck it in a wrap with some cheddar and you are good to go. Don’t you love leftovers? Another trick for easy prep is making your packed lunch in bulk, which is particularly handy when feeding more than one. On a Sunday have a cook up which will save you tonnes of time on weekday mornings; for example whizz up soup with leftover veggies in the fridge, make mini frittatas which are freezable or chop up 3-days worth of salad and store it in individual containers. Also, it helps to have some great tupperware, so stock up!… I am a bit of a tupperware geek and I don’t care to admit it. I have quite the collection in all shapes and sizes; I would put up a picture but I don’t think it will be appreciated that much. Sadly. Finally, it is completely okay to have a sandwich for lunch, just try and make it yourself! Honestly, I have worked in a supermarket and its amazing how long those sarnies sit there on a semi-refrigerated shelf. Also check out these low sugar snack ideas which will fit beautifully aside any of the lunchbox ideas listed below (which will be added as I make them)! Sugar – Why give the Sweet Stuff up? !